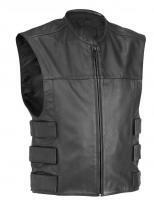 This vest is made from genuine leather with fashionable laces on both sides which is adjustable and half sleeves. Two crossed zip fastening pockets with binding edges. Stylish bronze colored four buttons at the front and custom low V neck. The most weighty one is having a Legendary Harley Davidson symbol on the back. 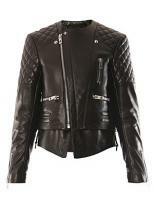 Fine nylon lining at out with perfect finish and glossy touch . The inner jacket is lined with polyester with heavy duty for everlasting use, this Harley Davidson vest makes you look more elegant and crisp. 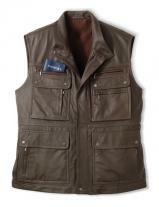 Walk out with this vest and notice the difference you will love it.